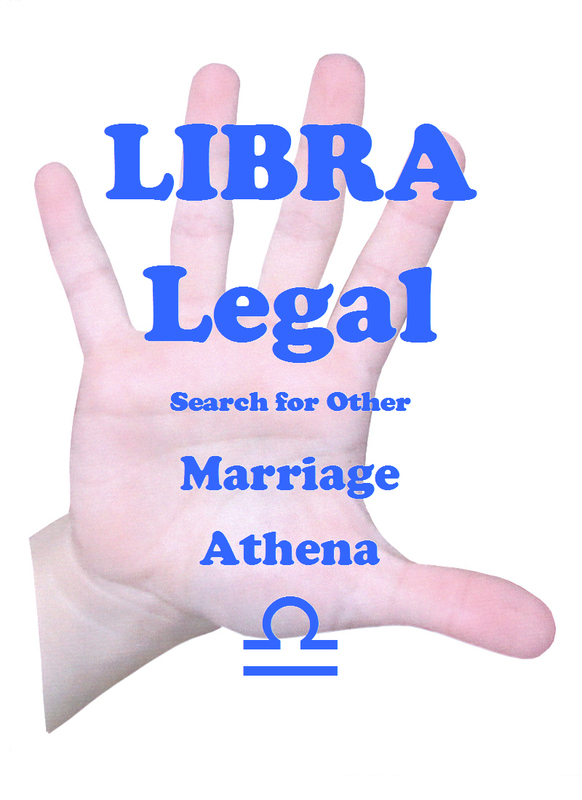 Libra, the 7th sign of the zodiac rules the 7th house of marriage in western astrology. The autumn equinox is a time for partnership, sharing, and giving. Libras strive for balance, idolize harmony, dislike discord, and hate confrontation. They’re the best negotiators. Libras can be very decisive when it really matters, but they’re infamous when it comes to deciding where to go, what to eat, or what to wear. Libras love being frank and direct, but must realize that they may not be liked for it. They can be aggressive, indirect, and vague at the same time, and still manage to get their way. Some Libras tread a thin line between ethics and honesty. Maybe they know something that could change everything, but fail to mention it. Libras wield logic, tact, and diplomacy like a Samurai Swordsman. Athena’s mighty sword is applied with icy emotional detachment. You don’t have to be born under the sign of Libra to have a Libra personality. 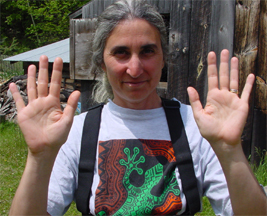 Thinking types have square palms and long fingers. Dominant Libra types have long clear gently curving unobstructed headlines that fork near the percussion of the hand. A cultivated Libra sees every side of a situation. With straight and strong long pinkie fingers, they communicate clearly and directly. Dominant bottom and middle phalanges are favorable for commerce, banking, and real estate. A long top phalanx is best for public speaking, journalism, or law. Strong index fingers make ambitious hardworking managers and powerful leaders. A separation between head and life lines increases personal initiative and spontaneity. The wider the space, the more the person doesn’t care what others think. They do what they must do no matter what. Some Libras are blinded by their need to get their way. Trying to change a Libra’s mind is like playing a game of mental monopoly. The best strategy is to be direct and make good sense. Healthy Libras have strong handshakes and firm pink elastic skin. Long graceful heart lines extend from under the pinkie to the base of the index finger, embodying romance and sentimentality. Sometimes a branch at the end of the heart line reaches down to touch the head line. These Libras can analyze, rationalize, and compartmentalize their feelings. It’s part of their duality to be hard and soft at the same time. Long vertical lines on the ball of the thumb within the life line are soul commitments to family and friends. The happiest Libras will have several clear lines parallel to their life lines. Libras are idealistic, romantic, and refined. Aesthetics are important to them. You’ll see Libra professionals in chic designer clothing taking clients out to trendy restaurants. Political, legal, publishing, public speaking, public relations, marketing, higher education, and entertainment fields are burgeoning with Librans. Athena is my favorite Libra archetype. Greek Goddess of Wisdom and Justice, Athena rules the strategic thinking required in combat. Odysseus (Libra) and Achilles (Aries) worshiped her. Often pictured as a handsome Goddess in battle armor, Athena holds a shield (Intuition) in one hand and a sword or spear (Thinking) in the other. She discards emotion to think with crystal clarity and cut to the quick. Athena is often pictured with the scales of justice and an owl on her shoulder to symbolize wisdom. An Athena type came to me for a reading many years ago. I’ll call him Athen. Athen arrived on my doorstep dressed in an expensive designer suit and power tie. I greeted him in my t-shirt and jeans. As a master business plan writer, Athen seemed out of place consulting a palmist in an east village tenement apartment. A friend of his had attended one of my palmistry lectures and gave me a radiant referral. Athen’s modus operandi was to find floundering companies and create compelling new products or services to point them in the direction of prosperity. In exchange for writing a first class business plan, Athen would receive a nominal fee and substantial stock options. An emperor of illusion, Athen would weave a sophisticated cloak of investment opportunity. Like a tailor, he threaded his needle with enough preferred non-voting stock to begin weaving his wardrobe. As plans took form, the company’s stock would appear more valuable. For a substantial retainer, Athen would help execute his concepts and guide management through the churning rapids of dramatic changes taking place within the company structure. Once the company was able to survive without Athen, he sold off large chunks of his stock and quickly moved on to the next project. Athen attempted to resuscitate several companies that failed without his help. He always prospered. Athen explained that he was embroiled in a mid-eight-figure fiasco concerning securities fraud. The IRS was a monkey on his back. He needed strategies for the best ways to proceed. Although we resided in totally different worlds, Athen and I immediately hit it off. Thinking types can bounce ideas off each other for hours. We were archetypal from the get go. Athen was Pinocchio. I was Jiminy Cricket. Like Pinocchio, Athen was smart, but surprisingly naïve. Jiminy appeared because Pinocchio lacked a conscience. It’s possible in business to be legal and unethical or immoral at the same time. If Athen were to put his ever growing nose in the wrong place at the wrong time, it might get chopped off. That’s what was happening. Athen offered me a generous retainer to be his “Jiminy Cricket”. I declined, but accepted occasional payments and gifts in exchange for my time, advice, and friendship. I used astrology to examine Athen’s timing and behavioral patterns. Tarot cards helped us gain better insight into his relationships. Athen is a thinking type with square palms and long fingers. His long unobstructed straight headlines and long straight and strong pinkie fingers with long bottom phalanges are great for commerce. Athen was inherently an honest and caring person. He was ambitious (strong index finger), hardworking, and blinded by his desire and need for freedom, power, and wealth. You can see from the separation between his head and life lines that Athen doesn’t lack initiative. He couldn’t care less what others think of him. I decided the best way to communicate with Athen was to be direct and make good sense. His long graceful heart line extends to his index finger, representing a romantic and sentimental nature. You can see from the vertical lines within the ball of his thumb that Athen is deeply committed to his family and friends. I first tried appealing to his compassionate nature. Why not design and promote healthy sensible products (like Paul Newman) and give as much profit as possible to charitable causes? Athen claimed he loved that idea, but rationalized that he needed to be personally more financially substantial before giving money away. I disagreed. “Does the world really need another greasy french fry, addictive brew, or violent video game? Why can’t the same resources and labor be used to make healthier products and services? Why not make products more expensive and exploit less people along the way?” “More expensive means more grease”, according to Athen. A higher selling price means more time and money spent romanticizing and glamorizing a product or service. Selling less and making more money is a great idea, but doesn’t come cheap. “It’s the grease”, Athen would say. Why do consumers pay so much more for caffeine at $tarbuck$? What makes a person buy an expensive designer brand name when they can get the exact same generic item for less? Revolutionary new products or services are sometimes created and protected. Some become generic and incredibly profitable. Most products and services are just variations on existing themes. Athen offered viable alternative business strategies that seemed likely to happen well if well implemented. It was easy to see who’d actually benefit and who wouldn’t. The cream always rises to the top. The problem is that every scheme where someone is making heaps of money means others are being deceived, exploited, or used. The poorest people are always scraping for pennies at the bottom of the barrel. Laws that protect masses of ordinary people are created long after the reason for them has been abused. It’s no secret that Philip Morris always knew cigarette smoking was unhealthy. By manipulating the legal system, they shirked their responsibilities and justified their actions. Jiminy Cricket guided Pinocchio who eventually found truth and became a “real boy”. Athen and I weren’t so lucky. Athen ended up losing everything. In Libran style, he started over with fresh ideas, enthusiasm, and a dollop of grease. He’s still wheeling and dealing. Pinocchio and Jiminy keep in touch, but no longer collaborate. Scott is a Cardinal Thinking type. His Sun, Moon, Mars, and Jupiter are in the sign of Libra. That’s a lot of Libra. Scott has Scorpio rising and three planets in Scorpio. That’s a lot of fixity in the feeling department. Scott is head ruled, but soft hearted. Much of his emotional growth can be attributed to his partner Lisa, who is a Cardinal Feeling type. Her Sun, Venus, and Uranus are in Cancer. She’s heart ruled, but also a strategic thinker. She has to be in order to partner well with Scott. Scott and Lisa balance each other beautifully. Scott’s strong and firm hardworking hands have designed and built sustainable housing, planted and tended bountiful gardens, and nourished community. He’s also a Tai Chi master, baker, musician, song writer, and good friend. Lisa has strong hardworking multi-talented hands that create many wonderful multi-media works of art and produce many healthy expressive venues for children. www.pompanuck.org. Susan was born on the same day and year as Scott. She has the same planets at the same degrees in different astrological houses. You’d think their hands would be very similar, but they’re very different. Observe the separation between Susan’s head and life line. She has long index fingers that are ambitious, but in a very different way than Scott. Notice how the fingers on her right (dominant) hand lean towards the index finger. A motivated natural giver, she has traversed much of the Third World In the Peace Corp with her partner Orin, helping less fortunate people live better lives. Her language and communication skills are refined. Susan sings in a chorale; her wonderful voice is a finely tuned instrument. She’s a great gardener, cellist, documentary photographer (my website photos), and good friend. My Cousin Richie, Libra extraordinaire, philosopher, sculptor, and inventor; created Tangle, The Infinite Sculpture (designer series of interactive, interlocking, plastic elbows). Our mothers were sisters. We share the ancestral “happiness”, and “seeker” genes. I once said to Richie, “If you put the same religious fervor into saving the world as you have into plastic elbows, we’d be saved”. He replied, “I am saving the world, one Tangle at a time” He meant it. Richie has sold tens of millions of Tangles worldwide. 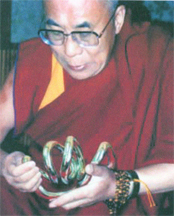 I ran into a mutual friend on the streets of NYC who said he visited a monastery in Tibet and saw a picture of the Dalai Lama with a chrome Tangle in his lap. I wasn’t surprised. When I visited Richie at his gift show booth in NYC, he was talking with a very conservative buyer from Wal-Mart. I leaned closer to overhear what he was saying, “Let me show you the only product in this show worth more than money”. He meant it. The hardest task in reading hands is learning to judge hands. One person’s long, rectangular, and firm might be another’s short, square, and soft. Rigorous practice is necessary to learn to observe and judge hands. Few of us are pure types. You may look at Cousin Richie’s fingers and see them as a bit short for a thinking type. I admit that if I didn’t know Richie, I may have seen his fingers differently, but the opposition between Libra and Aries is powerful. Dominant Libra opposes Aries as autumn opposes spring. Odysseus’s strategy fanned the flames of Jason’s passion on his quest for the Golden Fleece. Knowing Richie’s astrology and behavior has influenced how I see his hands. My brother Gary has a Pisces sun. He’s a mutable feeling type. With Libra hands, he behaves more like a cardinal thinking type. Gary is a geriatric psychiatrist. I used to threaten to become one of his craziest patients, but then as a Gemini, I decided not to get old. Gary’s Libra temperament graciously and gracefully deals with the most stressful situations. Pisces gives Gary an ability to have the natural empathy and intuition that many Libras lack. Gary is a wonderful psychiatrist, husband, father, brother, son, and friend. 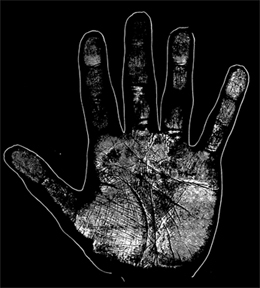 You don’t have to be an expert palmist to see certain truths in hands. When the end of a heart line dips down to touch the beginning of a headline, it’s unlikely the person will verbalize their deeper feelings, especially their negative emotions. Their rational mind controls a very impressionable heart. Add a short index finger and that wreaks havoc on a person’s self-esteem. It makes trying to offer advice to anyone with that combination a challenge for anyone who wants to help. From their personal history, you may learn that one or their parents was emotionally or physically absent during the person’s formative years. 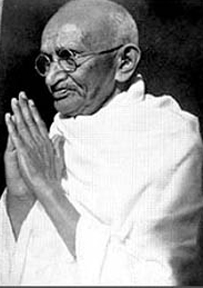 One highly principled Libra was Mohandas Gandhi, spiritual leader, lawyer, and civil rights champion in early twentieth century India. He promoted non-violent disobedience and began India’s freedom movement. Gandhi must have had huge empathy and unshakable conviction to overcome the inertia of his short index fingers. Dennis Kucinich, a Libra, and a long shot in the 2004 presidential campaign, promised to make non-violence a priority by establishing a “Department of Peace”. Russian president Vladimir Putin is a Libra. He was nominated for the 2014 Nobel Peace Prize. Bruce Springstein “The Boss”, has captivated masses for 30+ years with his charisma. Jim Henson and John Lennon were also Libras who mesmerized masses of followers. Sleeping Beauty symbolizes a search for self through other. Prince Charming (Aries) rescues SB from her hundred year sleep. He bestows a magic kiss that enables her to awaken. They ride off into the sunset and live happily ever after. Many Libras have unrealistic expectations of relationships that end up a disappointing reality. Most Libras prefer to be married. A marriage license may be a legally binding contract, but it doesn’t guarantee love. Winnie the Pooh (Libra) tries to find balance in his life by “think, think, thinking”. Somehow, he always manages to get a pot full of honey for himself. Christopher Robin (Aquarius) knows what’s best for everyone. 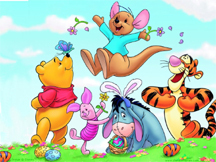 Winnie lives in the hundred-acre wood with his friends, Piglet (Gemini), Rabbit (Virgo), Roo (Sagittarius), Tigger (Leo), and Eeyore (Capricorn). Everyone has Libra, Venus, and a 7th house in their astrology. Deep down, we know what’s honest, true, and fair. Most of us have ethical and moral values and boundaries. We also know right from wrong and fear the consequences of our betrayals. It’s easy to analyze, rationalize, and compartmentalize our bad habits and behaviors. “Laws keep honest people honest”, “Locks keep honest people out”, and “Contracts are only as good as the people who sign them” are aphorisms that describe Libran logic. Historically, when the outer planets Uranus, Neptune, and Pluto transited the sign of Libra, forces of good and evil clashed as we tried to find a balance between optimism, pessimism, tolerance, prejudice, progress, and regress. There was not much social or political stability during these periods. While the planet Neptune (Pisces) transited the sign of Libra from 1942 to 1957, Nuclear weapons began proliferating. The first atomic bomb was dropped on Hiroshima. President Truman instructed the Atomic Energy Commission to produce an even bigger `Hydrogen Bomb’. The United Nations began blossoming. International cartels became firmly established. The European Common Market was recognized. The civil rights movement flourished. Group psychology became popular. The World Council of Churches was established. Mother Francis Xavier Cabrini, founder of the Missionary Sisters of the Sacred Heart of Jesus was the first American citizen canonized by the Roman Catholic Church. The art world went through dramatic changes. Allen Ginsberg became a popular poet writing, “I have seen the best minds of my generation destroyed by madness”. When Neptune left Libra in 1957, the bestselling novel was Peyton Place focusing on sexual intrigue in a small town. People born between 1942 and 1957 tend to be overly idealistic in relationships. They must learn to harmonize, compromise, and sacrifice. While the planet Uranus (Aquarius) transited the sign of Libra from 1968 to 1975, the spirit of our nation shifted from optimism to pessimism. Faith in progress turned into disillusionment with national institutions and world progress. This period was marked by useless popular inventions like the “pet rock”, giant platform shoes, and shag haircuts. Punk Rock, along with primal therapy and streaking became popular. The Supreme Court legalized abortions in the first trimester of pregnancy (Roe vs. Wade). Governor Wallace, a racial bigot from Alabama, announced that he would be running for President on the newly formed American Independent Party ticket. He threatened to repeal the “so called civil rights laws”. Meanwhile, the most popular show on TV was a comic satire about a racist named Archie Bunker. Diplomat Henry Kissinger approved the financing of clandestine CIA activities in Chile aimed at preventing the election and inauguration of Salvador Allende as Marxist President. Patty Hearst was kidnapped and brainwashed by the Symbionese Liberation Army. A military junta deposed Ethiopian Emperor Haile Selassie. While the planet Pluto (Scorpio) transited the sign of Libra from 1971 to 1983, growers and pickers finally reached a settlement that ended a nearly ten year grape boycott (led by Cesar Chavez). Farm workers finally had bargaining power. This time marked the official beginning of the environmental movement. The Supreme Court upheld busing as a way of integrating schools. An assassination attempt left presidential candidate George Wallace paralyzed from the waist down. Prime Minister Idi Amin slaughtered over 300,000 Ugandans and alienated his country from the rest of the world. Violence in Ireland forced Britain to seize control of Northern Ireland and suspend the Protestant controlled parliament. An arm of the Palestine Liberation Organization terrorized the 1972 summer Olympics in Munich. In 1975 South Vietnam crumbled, bringing an end to the Vietnam War. Because of the Karen Ann Quinlan case, `right to die’ rulings were enacted all across the USA. The serial killer “Son of Sam” was finally put away after terrorizing the male and female population of NYC. Religious fanatic Jim Jones got his followers to commit suicide. 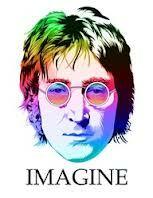 John Lennon was murdered. This entry was posted in Astrology, character, creativity, Environment, feeling, Gemini, Hand Analysis, Hand Reading, health, intuition, Leo, Libra, marriage, Metaphysics, Mythology, Palmistry, Philosophy, Pisces, practicality, Psychology, Self-help, spirituality, thinking, Truth and tagged astrology, character, environment, feeling, fingers, hand analysis, hand reading, intuition, Libra, marriage, metaphysics, mythology, palmistry, philosophy, practicality, presidential politics, psychology, relationships, self-help, thinking by markseltman. Bookmark the permalink. I was just telling my grandson this evening that I would forward him this piece about Libra . I hadn’t read it yet but noticed it was posted. I think he and his sister, born on the same day three years apart will find the read interesting. They are both inquisitive and may find themselves or bits of Libra influencing them. The many I have known have always sought balance, needed space yet thrived on exchanges with others. Every sign brings different strengths for the world to harmonize by.